Listening to The Cure, now, says almost nothing about you. Everyone at some point listens to The Cure or, at least at some point, they've attempted to. I remember growing up listening to this kid named WIll and his brother Win belt out The Cure covers, only to form a band that sounds a little bit like The Cure. 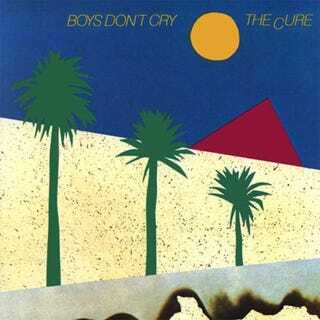 Back in 1979, when they released their album "Boys Dont Cry" it meant something different to listen to them. There was this sort of pre-emo, pust-punk, proto-gothic 80s sad boy association involved. This is why "Boys Don't Cry" was the ideal single/album combination for a fan base that, at least initially, made primarily up of dudes prone to crying and in need of a strategy (in this case laughing) to cover it up. Our friend Dearthair knows what we're talking about, having gone through the stages of grief and crying while contemplating his summer road trip mix. What&apos;s The Best Summer Road Trip Mix? Step 1: Fill iPhone with every piece of music you've ever even heard of. Step 2: Integrate into car stereo somehow, preferably through a proper iPod or aux jack. Step 3: Pick a song you like at random, push "Genius" button. Step 4: Cry quietly as entire stereo system is stolen from your Corrado. Step 5: Celebrate as awesome Canadian cops track down little fuckers who stole everything and retrieve it, get a full confession, and force said fuckers to pay for all the damage to Corrado's dash. Step 6: Reinstall everything, push "Genius" again. Step 4 sort of implies you were either somewhere else crying while the stereo was being pilfered or were watching it being stolen and, instead of stopping them, you merely stood by crying.